I will be honest: I have never tried homeopathic remedies for what has ailed me in the past, be it a seasonal cold or allergy, a headache, or stomach ache. 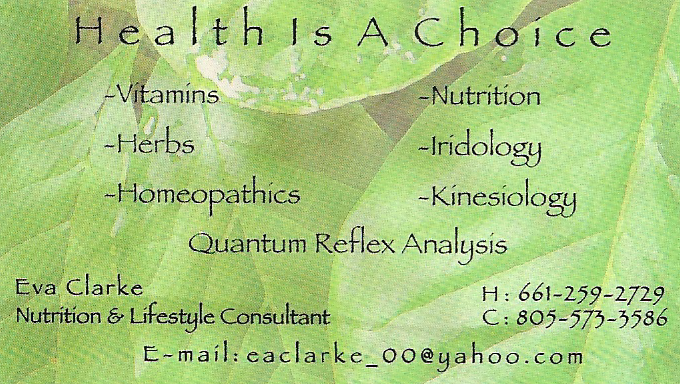 However, Eva Clarke, owner of “Health is a Choice”, could provide myself and others with different homeopathic remedies for a wide range of ailments or illnesses that may have longer-lasting relief in the long run than conventional, over-the-counter medication, and with fewer side effects. Like cures like – For example, symptoms of a cold that mimic mercury poisoning would call for mercury as the homeopathic remedy. In other words, a disease that can be cured by a substance produces similar symptoms in healthy people. Minimal dosage – People would consume the remedy in extremely dilute form, usually one part of the remedy to one billionth or one trillionth part water. The single remedy – Only one remedy is taken, the number of symptoms notwithstanding, with the goal that the remedy takes care of all the symptoms. Additional principles of homeopathy can be found here. The general goal of homeopathics is to recognize, through the unique expression of symptoms of a patient, the pattern of disturbed energy and identify among the large number of remedies available the most homeopathic, or most similar to, the patient’s disease. Its effectiveness, especially when the correct remedy is taken. It is safe, even for babies and pregnant women, and can be taken with other medication. It is natural, with homeopathic remedies based on natural ingredients. It works in harmony with your immune system as opposed to suppressing it. 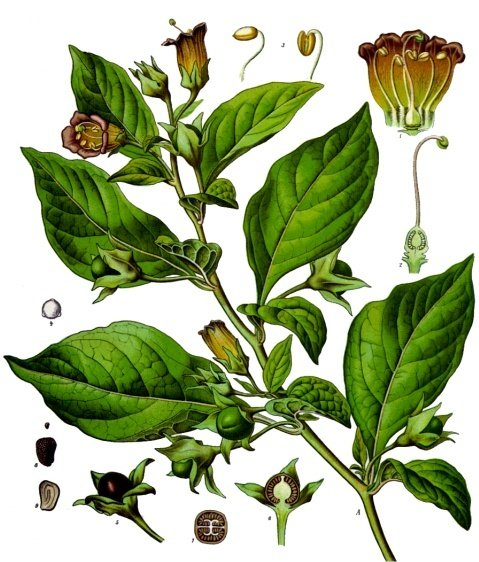 Homeopathic remedies are not addictive. Homeopathy is holistic and deals with the symptoms as a whole. I have barely scratched the surface of homeopathics, but Eva can take you down a much deeper and eye-opening path towards a remedy that can work for you. Her company, “Health is a Choice”, provides you with the extra fork in the road you never knew was there. If your second or third opinion sound too similar to the first, give Eva a call. You do have other choices about your health. Yes, hiring is always a possibility as “Health is a Choice” expands. Customers are at the heart of my business. If they don’t get results, I don’t get results. Time is such a valuable gift and I really listen to the needs of my clients. Most of them have been searching for a long time for a healthier lifestyle, so I meet with each client individually to establish a personalized program that best reaches their goals. The niche of “Health is a Choice” is personal service with a strong desire to help educate and guide people with their health goals so they can enjoy the most rewarding life. The products and services that I offer vary because I focus on the individual. Personal services ranging from nutritional counseling diet and/or supplement. A comprehensive QRA exam, which helps identify key organs and gland points on the body to help address core problems. Detoxification therapies such as mud packing to clear energetic meridian clearance. I offer vitamins and herbs tested with the highest quality in mind. Homeopathics, Iridology (iris reading for whole body health), and Vastu (Electromagnetic field remediation). Promotions include 10% off products for first-time clients. Refer a friend and receive an additional 10% on your next order. I like working in the Santa Clarita Valley because the people are so friendly and I think that, with the services I offer, I would be able to help the community to a healthier and joyful lifestyle. I look forward to meeting new people and making a difference in the community. About 22 years ago, I was diagnosed with Epstein Barr, or chronic fatigue. After searching for relief from the symptoms of low-grade fevers, aches, strange pains, and flu-like symptoms for over three years, I started to look for answers. My search led me to Judy’s door. Judy was such a relief to talk to because I could walk away with information and products that would soon make a difference. Herbs have never been new to me as my grandmother had introduced them to me as a child. As a young, healthy woman, I have never found the need to use them except for maybe menstrual cramps or an occasional upset stomach. With the help of Judy and my research, I soon started to see and feel the difference. I took what I had learned about the intestinal tract, or colon, and went a step further. I knew that most, if not, all of the problems we experience start in this area, so I found the best colon therapist around and made around a hundred appointments with the therapist. For anyone that does not know how this procedure works, it may feel a little bit embarrassing at first, but I guarantee you, it will be the most important date you will ever make. Needless to say, I was cured, and I have been symptom-free for the last 22 years. That’s when I decided to open my company, “Health is a Choice”, and that’s how the business was started. When you hear about nutrition in the news, the news usually comes from the federal government, and the news is typically never good news. The government references long-established (read: antiquated) baselines for calorie intake or height-to-weight ratios. People view health articles about nutrition as (unsolicited) advice and, thus, almost never takes it. The government and health experts have our best interests in mind when they release statistics about the state of our health. However, we must consider many factors about our health such as family history for pre-existing conditions, current health conditions, and daily lifestyle, among other factors, when deciding what is best about our daily nutrition. As a result, there are countless possibilities regarding the best recommendations, and the government has no time to determine every possibility for each of us. Eva Clarke, owner of “Health is a Choice”, fills in that void. 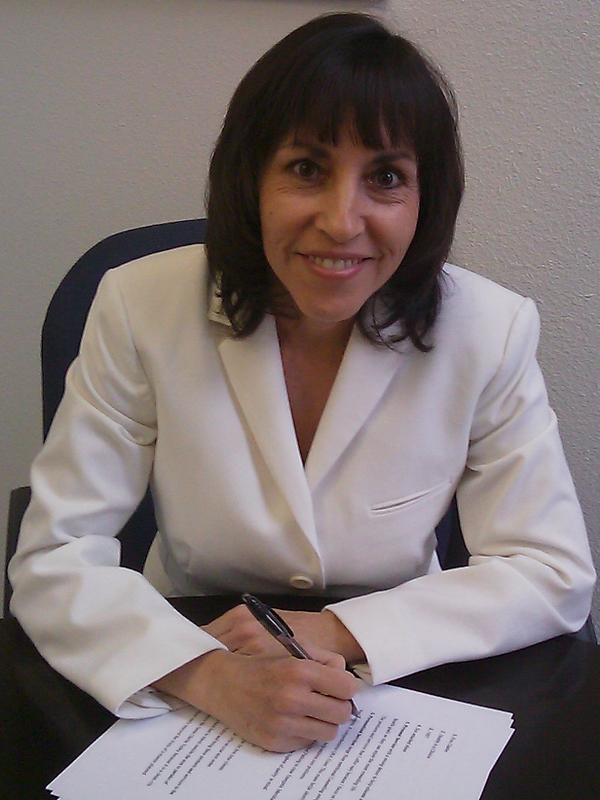 As a nutrition and lifestyle consultant with over 20 years’ experience, she works closely with people and provides personalized services based on their needs with nutritional counseling and detoxification therapy, the cleansing of the body’s internal systems and organs, as some of the services that she offers. The New Year should never be the only time you think about your health, nor should bad news from the latest government study compel you to act. Call or email Eva and make that life change!